Check out the Reddit Domain Metrics. Reddit, One of the most popular site on the internet with 1.7 Billion Monthly Visitors With 40% of the visitors coming from the US. 7% From the UK and 6% From Canada. Do-Follow Backlink Service $5 Per Link. This Service gets you a permanent DA99 TF68 Do-Follow Backlink from Reddit, These Backlinks works like a charm. A few of these backlinks can skyrocket your rankings depending on the competition. You send us the Link and we flip it to Do-Follow on Reddit, Simple As That. Custom/Niche related SubReddit Creation Service $80 Per Sub-Reddit. We'll Create a custom, Niche related subreddit for you and provide with you a permanent, Contextual, do-follow DA99 Backlink with and anchor of your choice placed on the sidebar. In Addition to this, We'll offer 5 subscribers to your subreddit for FREE which in return will promote your organic growth of the subreddit. Note: We will only do naked url anchor for the do-follow backlinks, If you are interested to use keyword/anchor of your choice please selec the custom subreddit creation from the extras below. Reminder: Due the nature of this service we will not able to refund once the work has been started but we are willing to give replacement for the do-follow backlink service. Have Questions: Please send us private message if you have any questions regarding this service. Me and my team actively test things on our sites before offering it to our clients, ensuring you get the best. Below are the few screenshot some got amazing results while some are down. That's how SEO works. Note: We have sent 3 links to each keyword/page and below are the results. worked for it for a while then started to dance, so will be observing this site for 15 days and will try to score some great links during the random movenments. 3 links to each keyword. A: Turnaround time is 3 to 5 working days. A: We accept all niches which are supported and accepted on Reddit. Q: What is your Refund Policy and Ranking Guarantee?A: No Ranking Gaurantee and No Refunds once the order is started. We are willing to replace links on do-follow backlink service if your link is deleted/removed by the mods on reddit. 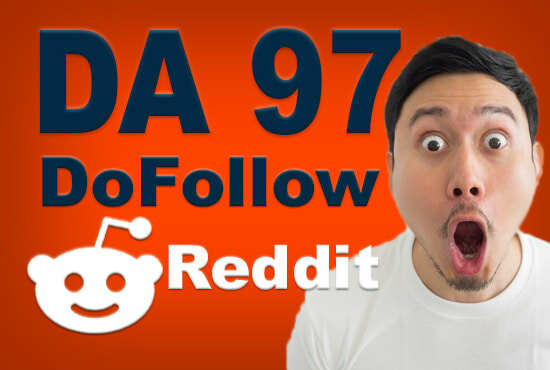 SUPERSTRONG DA99 Do-Follow Backlinks From Reddit is ranked 5 out of 5. Based on 17 user reviews.